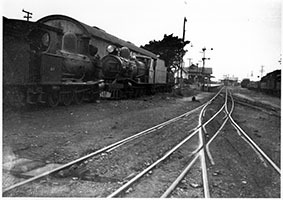 The Y/Yx class 2-6-0 type locomotives were built for general service on the South Australian Railways narrow gauge system. Driving Wheel Diameter: 3 ft. 3 in. - Diameter x stroke: 14½ in. x 20 in. Boiler Pressure: 145 lbs p.s.i. 185 lbs p.s.i. Overall Length 39 ft. 3 in. 39 ft. 3 in. 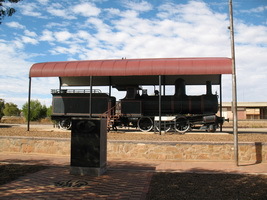 "James Martin" built 2-6-0 type narrow gauge steam locomotive. "Beyer Peacock" built 2-6-0 type narrow gauge steam locomotive. - To Millar Timber & Trading Co. Ltd. W.A. No. 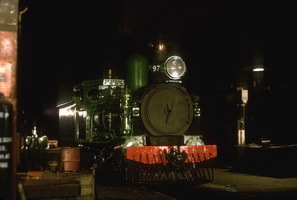 69 named "Waroona"
"South Australian Railways, Islington Workshops" built 2-6-0 type narrow gauge steam locomotive. This page was last updated on Thursday 11 Jan 2018 at 8:47pm.